Thankfully, I recently found a duplicate copy of this record which caused me to play check it and hear the condition; stopping cold in my tracks, I had forgotten completely how incredible this record is! I felt like I was discovering a gem that I'd never heard before (even though this was a record that I've had in my collection for years), and it was pretty damn exciting! 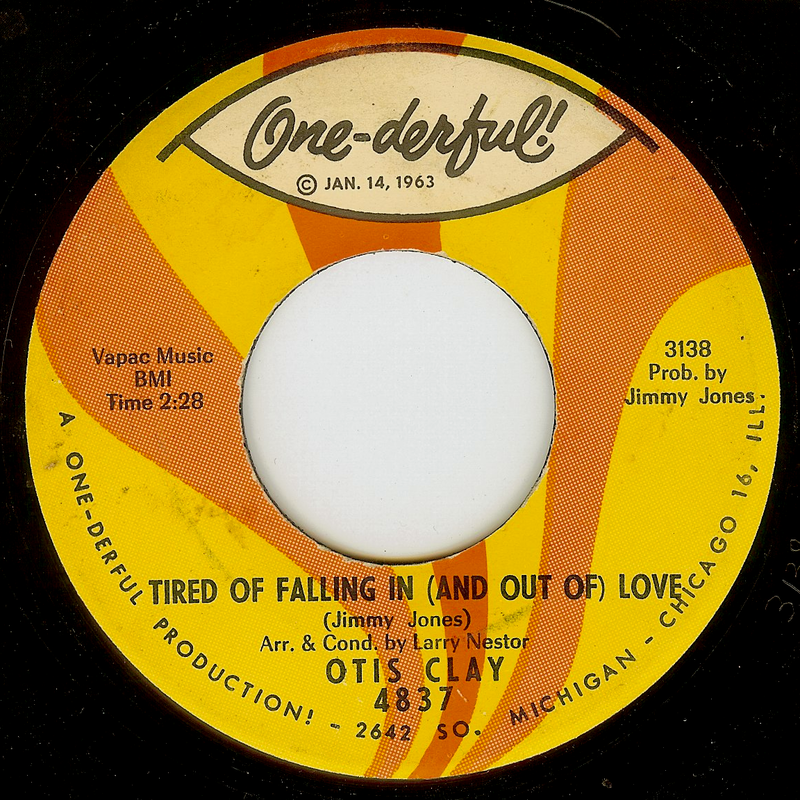 During his early (secular) period (Clay became a professional gospel singer as a teenager, and only began his secular career in '65), Otis Clay was well represented on record with his hard driving, bluesy soul cuts that showed his supremely powerful voice. On this exquisite track, we hear Otis deliver a ballad in a way that brings out the goosebumps in a big way. Much in the same way as Percy Sledge's "When A Man Loves A Woman", this absolutely perfect record evokes a mood that embodies the lyric and takes us to a place that is somewhat ethereal, somewhat earthy, but most importantly, purely the embodiment of soul music.